When you’re travelling in Bolivia, the must-see attraction are the 12,000 sq km “Salar de Uyuni” salt flats, the largest in the world. 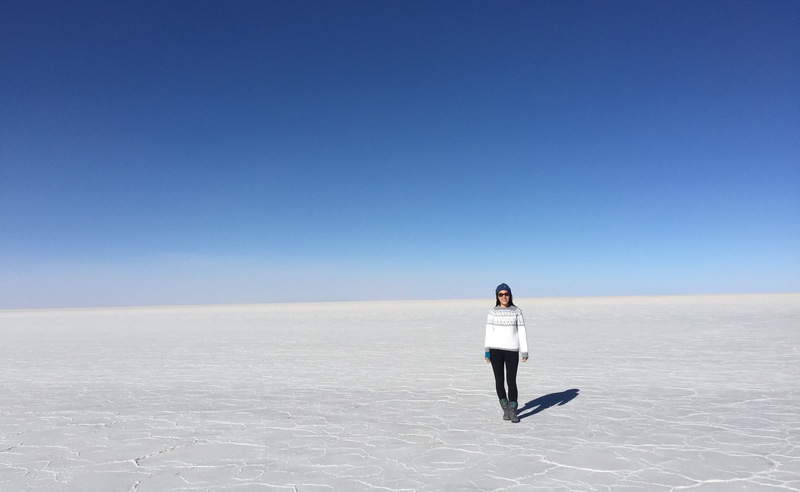 In La Paz, we spent a lot of time debating which tour agency to go on a salt flat tour with. According to reviews, that seemed to be the factor that can make or break your experience. 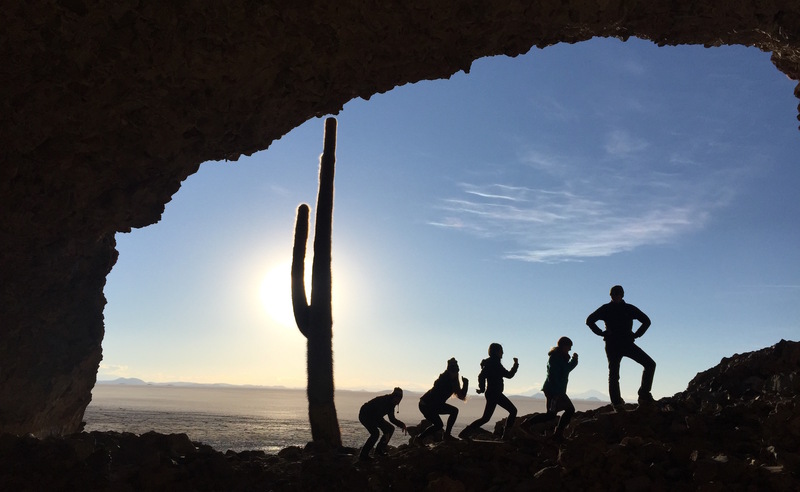 We narrowed our choices down to Red Planet versus Quecha Connection, the two English-speaking tours that most travellers decide between for tours from Uyuni (vs other agencies who will take you from Chile or Tupiza). From reading Trip Advisor, we heard good things and bad things about both: drunk drivers, freezing accommodations, food poisoning…like everything else in Bolivia, it seems, it’s about the luck of the draw. We went with Quecha Connection simply because they were efficient in responding to our emails, and had an in-person office in La Paz for us to book our tour. They also include sleeping bags and hot water bottles at no extra charge, so that was another perk. 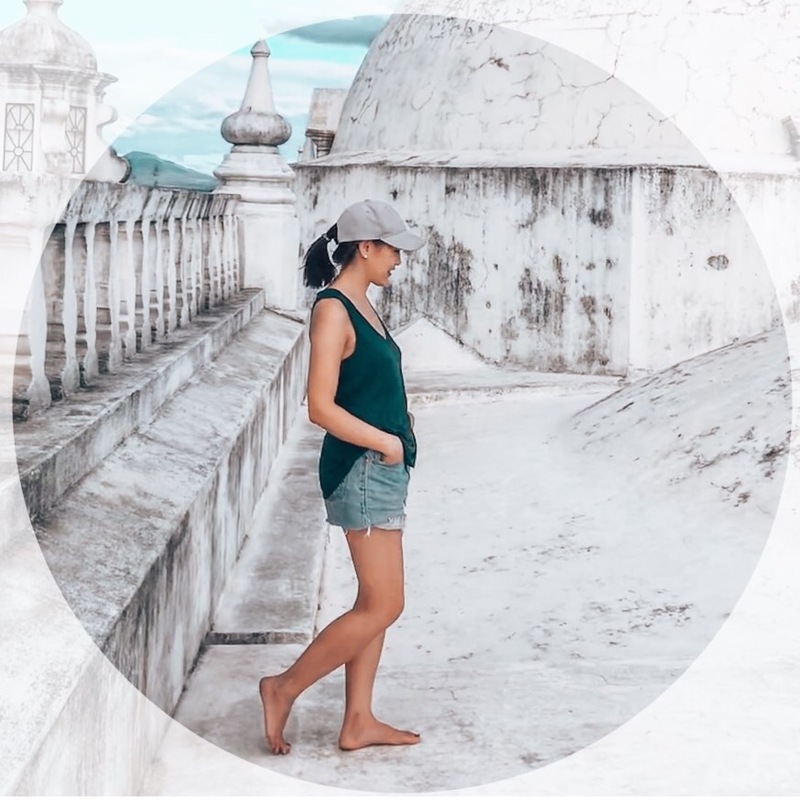 By the way, if you come across Kanoo Tours in your research, they charge an extra $10USD more for either tour, so it’s best to book directly with the tour agency, if you can get a hold of them. On our first day, we left Uyuni from the Quecha Connection office at around 10am. We thought we would be driving for long periods but our journey was punctuated with many stops and viewpoints. For example, it was only a 10-minute drive to our first stop, the train cemetery. 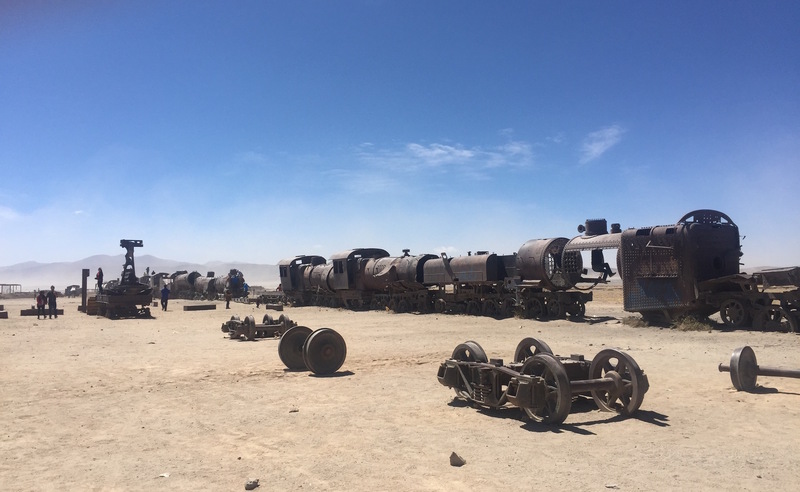 Uyuni used to be the home of a rail-car factory, and as the country moved away from train travel, the hollowed out rail cars were abandoned in the desert and are now a tourist attraction for people going to and from the Salt Flats. Next, we made a quick stop at a salt factory, and then finally onto the Salt Flats. The Salt Flats were an amazing sight to see: 12,000km-squared of white salt in natural hexagonal patterns. It was mesmerizing driving through the flat landscape, and the solid white of the salt and the sold blue of the sky gives a strange perspective on distance. En route to lunch, the driver dropped us off a couple of kilometres away from our lunch destination, and we had the option of biking the rest of the way to lunch. I lasted for about ten minutes before I gave up and started walking with the bike – it was so windy and the destination never seemed to get any closer. It’s hard to tell distance when everything is so flat! Our driver eventually saw me walking and picked me up, and as we drove closer to the rest of the group, we picked up the others who by then had also given up on the bike ride. When you’re on the Salt Flats, the touristy thing to do is to take funny perspective photos. Our guide with Quecha Connection had all the creative suggestions for poses, and even brought his own props of a Pringles Can and Godzilla-like monster. 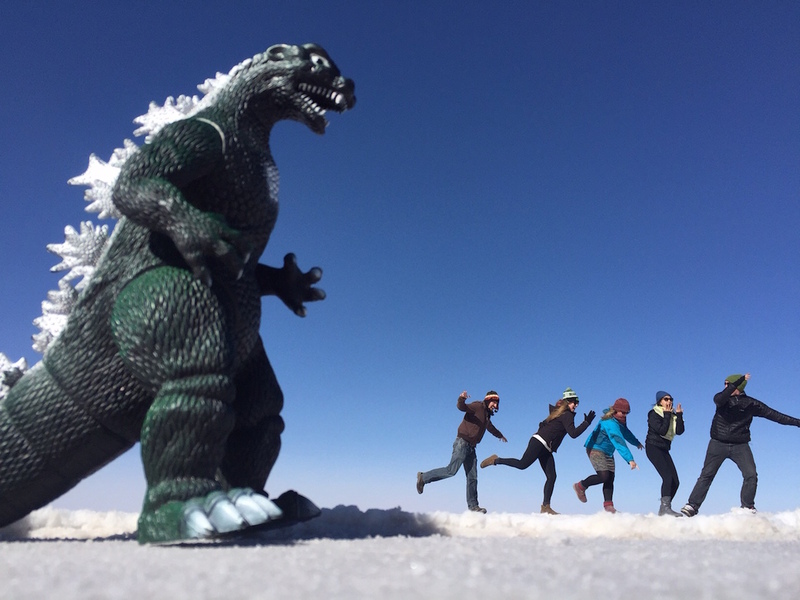 See our post on Funny Perspective Photos from the Bolivian Salt Flats. Later that afternoon, we stopped at “Cactus Island” where we had about 45 minutes to look around. Our driver timed our visit so we would leave around sunset, and we could take more photos during sunset on the Salt Flats. On our second day, we continued to head South to visit the many coloured lagoons of Southern Bolivia. We saw hundreds of wild flamingos, which was one of the most incredible natural sights I have ever seen. 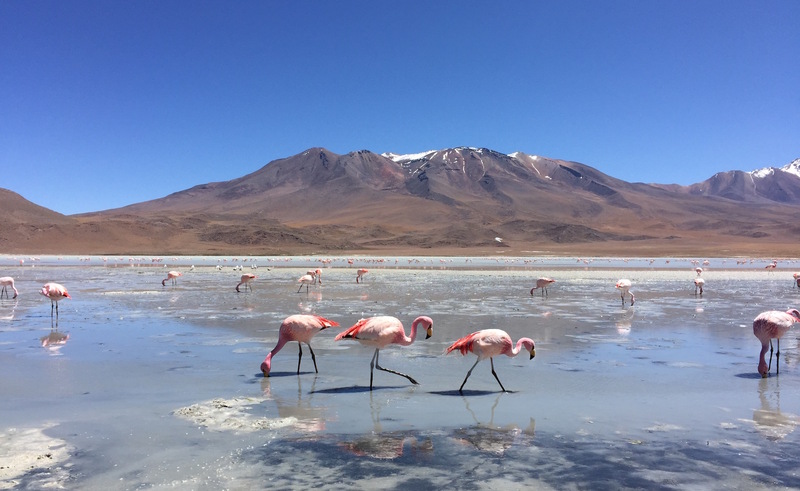 Most people associate flamingos with warm, tropical climates…so it was incredibly surreal to see hundreds of pink flamingos scattered in across the high elevation terrain, with snowcapped mountains in the background. At one point, we pretty much made it to the border of Bolivia, Chile and Argentina. Along the way we reached elevations of 5,000 meters. Our second night of accommodations didn’t have heat, so we layered on all our clothing and bundled into our sleeping bags with hot water bottles to keep us warm. This was mostly a driving day. 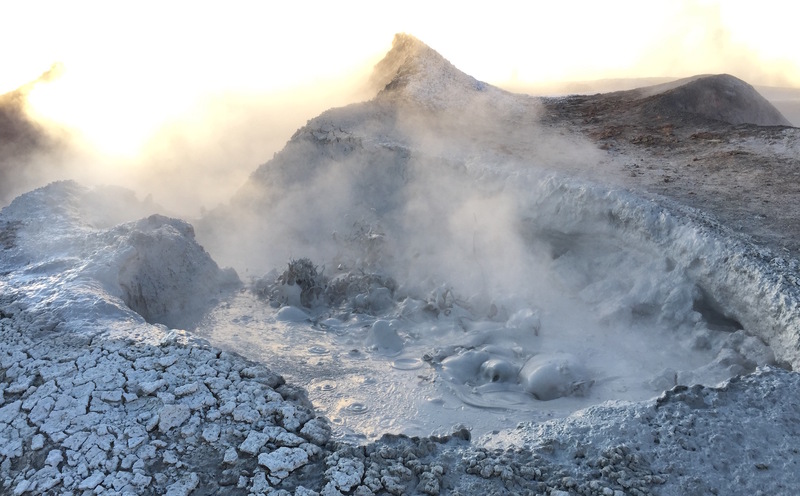 We woke up super early to catch the sunrise at the geysers, and it was SO cold. There are no barriers between you and the boiling mud, so watch your step! After the geysers, we went to a natural outdoor hot spring, then took the long drive back to Uyuni. Overall on this tour, we saw everything we expected to see and more. This was one of the most amazing experiences I’ve been on, with sight after sight after sight packed into a 3-day tour. 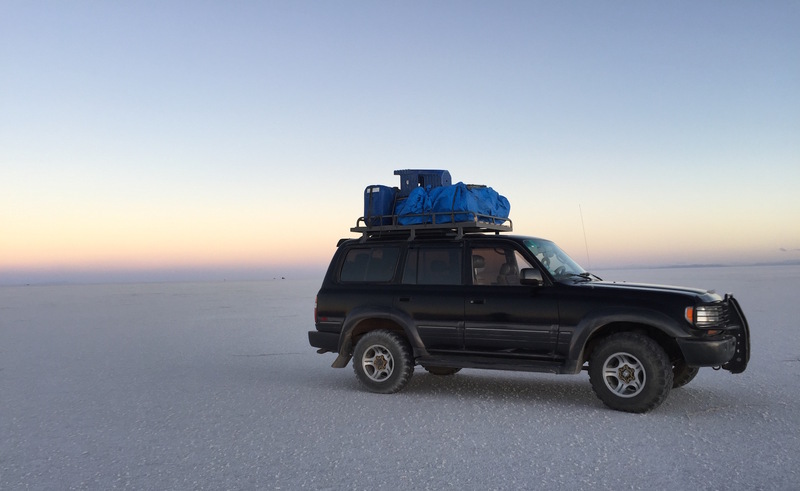 We went to the Salt Flats during the dry season in September 2015 and paid $180 USD per person for a 3 Day / 2 Night tour through Quecha Connections. I can’t imagine seeing anything more with an extra day, so if you’re deciding between a 3-day or 4-day tour, I would go with the 3-day tour.